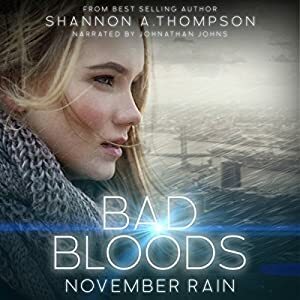 Three new audio books and a giveaway to win three new audio books! FALL IN LOVE WITH AUDIO BOOKS! It’s Fall and you have a lot of stuff to do! You need to run errands, get to and from school or work, clean the house, shop for Halloween costumes or Fall decorations, and freak out because the Holidays are almost upon us. (How is it already the middle of October?) When life gets busy, how do you keep up with your favorite Author’s new releases? Try multi-tasking with an audio book. If you haven’t started listening to audio books, you’re missing out! Audio books aren’t a replacement for regular reading, they’re an entirely different experience. In fact, reading a book you love and then listening to the audio book is an experience every avid reader should try at least once. To celebrate our newest audio book releases, CTP is giving three winners each an audio book of their choice. (ANY BOOK! A value of up to $27.99!) Check out our new releases and then be sure to enter this giveaway at the bottom! Dreamthief received an INDIEFAB Book of the Year Award from Foreword Reviews for fantasy and also won a RONE award for Best New Adult Romance. Forget the fairies and unicorns, most people return from fairy world with lost memories and mental problems. Olive Kennedy knows. She’s the therapist who treats patients suffering from Faythander’s side effects. Traveling back to the fairy realm wasn’t on Olive’s to-do list. But she has no choice. 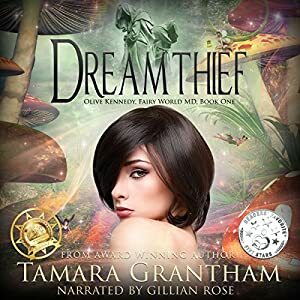 The fate of both Earth and Fairy depends on her ability to stop an ancient being called the Dreamthief. To complicate matters, she may be losing her heart to someone who can’t love her in return. Saving the world, she can handle. Falling in love–not so much. One horrifying day will change the life of 16-year-old Shane Tucker and every other kid in the world. In a span of mere hours, the entire adult population is decimated, leaving their children behind to fend for themselves and deal with the horrific aftermath of the freak occurrence. As one of the newly made elders in his small town, Shane finds himself taking on the role of caretaker for a large group of juvenile survivors. One who just happens to be Kelly Douglas – an out-of-his-league classmate – who, on any other day, would have never given Shane a second glance. Together, they begin their quest to find out why all of the adults were slaughtered. What they find is even more horrifying than anything they could have expected – the annihilation of the adults was only the beginning. Shane and his friends are not the unlucky survivors left to inherit this new, messed-up planet. No, they are its next victims. There is an unknown power out there, and it won’t stop until every person in the world is dead. 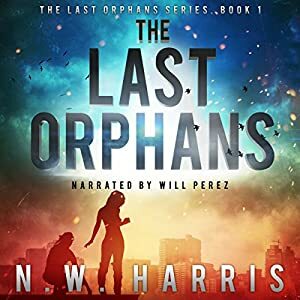 A spine-tingling adventure that will have you gasping for breath all the way until the last moments, The Last Orphans is the first book in an all-new apocalyptic series. Enter to win one of three audio book credits from Audible. Winner can use their credit towards any audio book within the Audible store. Enter the Rafflecopter giveaway form below.